Go ahead. Let it out. You’ll feel better. One of the places where human justice falls down is the belief, embedded in every story we tell our children from their earliest days, that bad things inevitably happen to people who are bad and that good behavior is rewarded. I’d go so far as to say that the recognition of the failure of that axiom is the source of every crisis of faith ever experienced. The innocent starve. The wicked get wealthy by cheating and stealing. Natural disasters take lives indiscriminately. We believe this unsupportable notion of the inherent fairness of the universe so strongly that when we see evidence strongly to the contrary, it is literally intolerable. We feel it as pain. We demand justice — or we sink into depression, because all actions are futile and the results of those actions are arbitrary. It’s not quite as bad as all that because most of us have realized that we can band together and provide justice with our own hands — determining the likeliest truth and distributing the psychic weight of inflicting a balancing misery on the hopefully deserving to the back of a constructed creature called a government so that we, as individuals, don’t have to endure the potential guilt of an incorrect judgment. But that machine is enormous and slow and cumbersome and really, really busy. So we, still, have other outlets. Gods are supposed to take notice of injustices and take action to correct them. Or their agents — angels, saints, intercessors, demons and devils even — whoever is on the divine payroll. Maybe they are also busy and don’t notice every little thing, or maybe they wait for us to let them know we’d like help before they schedule an intervention. Or maybe there are specific entities that aren’t so worried about justice that are willing to take action for us in an exchange of favors. Or maybe there are non-sentient forces we can pick up like a stick and use to defend ourselves from those who are stronger or more influential. And why not? We are warned against greed, but there’s no ethical problem at all in obtaining for ourselves what we truly deserve, especially if it will assuage the pain of unfairness. And besides, we’ve been doing it for the entire length of human history. 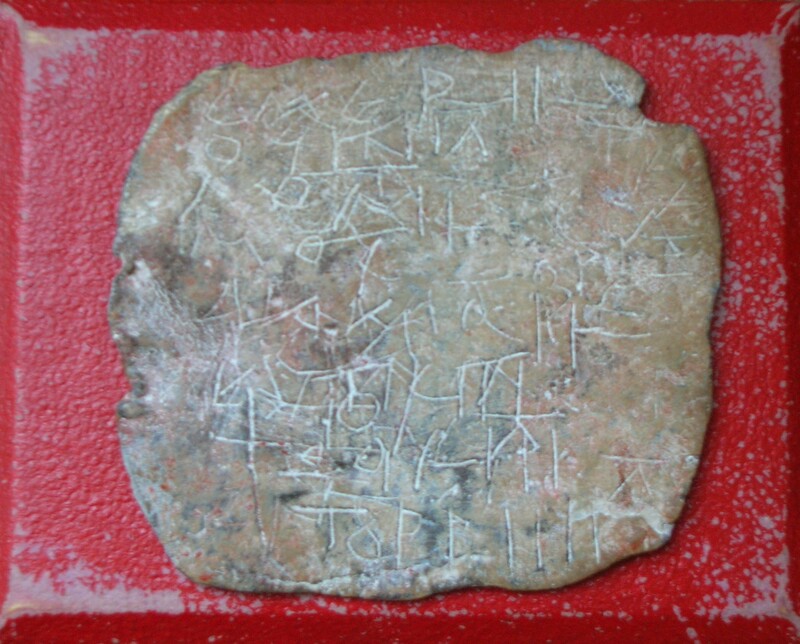 Archaeologists and museums have exceptionally large collections of fossil curses and spells engraved in stone and clay and lead tablets. As popular literacy and eloquence is a phenomenon that waxes and wanes, in Roman times you could make a comfortable living inscribing eloquent curses on thin lead sheets that a purchaser could curl around a spike and nail into a wall of a temple or a handy tree in a sacred grove or toss into a fountain or well where the victim was known to drink. Some of them were written out well in advance, with a blank space left for the name or description of the (supposedly deserving) victim. There seems to have been a specialized shop near Bath, in England, to curse the thieves that made a habit of stealing clothes from the bathers. All the best tabloids have advertisements for the descendants of this lucrative palliative industry. It might not be the medicine that actually gets results, but it’s the medicine that’s affordable to those who can’t afford to get the attention of the government machine — either literally in terms of funds or in the interpretation of being able to withstand the government’s scrutiny. It seems akin to that other thing we call cursing, also at least marginally taboo. We have structures in the brain dedicated to foul language to which one can retain access after an illness or injury that takes away capability for refined speech. It’s been shown that we can find literal relief from literal pain if we are allowed to swear freely when we are hurt, though the mechanism is just as mysterious. Is it that we’ve taken some action, even though it is pointless, and we believe every effort achieves a consequence? Is it that we know we’ve managed to communicate our discomfort and it is now up to others to render assistance if they can? Is it some quirk of internal wiring linked, possibly in both directions, to the release of endorphins? Maybe the similarities are no accident.